An IPO is short for an initial public offering. It is when a company initially offers shares of stocks to the public. It's also called "going public." An IPO is the first time the owners of the company give up part of their ownership to stockholders. Before that, the company is privately-owned. The IPO is an exciting time for a company. It means it has become successful enough to require a lot more capital to continue to grow. It's often the only way for the company to get enough cash to fund a massive expansion. The funds allow the company to invest in new capital equipment and infrastructure. It may also pay off debt. Stock shares are useful for mergers and acquisitions. If the company wants to acquire another business, it can offer shares as a form of payment. The IPO also allows the company to attract top talent because it can offer stock options. They will enable the company to pay its executives fairly low wages up front. In return, they have the promise that they can cash out later with the IPO. For the owners, it's finally time to cash in on all their hard work. These are either private equity investors or senior management. They usually award themselves a significant percentage of the initial shares of stock. They stand to make millions the day the company goes public. Many also enjoy the prestige of being listed on the New York Stock Exchange or NASDAQ. For investors, it's called getting in on "the ground floor." That's because IPO shares can skyrocket in value when they are first made available on the stock market. The IPO process requires a lot of work. It can distract the company leaders from their business. That can hurt profits. They also must hire an investment bank, such as Goldman Sachs or Morgan Stanley. These investment firms are tasked with guiding the company as it goes through the complexities of the IPO process. Not surprisingly, these firms charge a hefty fee. Second, the business owners may not be able to take many shares for themselves. In some cases, the original investors might require them to put all the money back into the company. Even if they take their shares, they may not be able to sell them for years. That's because they could hurt the stock price if they start selling large blocks and investors would see it as a lack of confidence in the business. Third, business owners could lose ownership control of the business because the Board of Directors has the power to fire them. Fourth, a public company faces intense scrutiny from regulators including the Securities and Exchange Commission. Its managers must also adhere to the Sarbanes-Oxley Act. A lot of details about the company's business and its owners become public. That could give valuable information to competitors. The number of IPOs being issued is usually a sign of the stock market's and economy's health. During a recession, IPOs drop because they aren't worth the hassle when share prices are depressed. When the number of IPOs increase, it usually means the economy is getting back on its feet again. According to the Corporate Finance Institute, there are five steps in the IPO process. First, the owners must select a lead investment bank. This beauty contest occurs six months before the IPO, according to CNBC. Applicant banks submit bids that detail how much the IPO will raise and the bank's fees. , the company selects the bank based on its reputation, the quality of its research, and its expertise in the company's industry. The company wants a bank that will sell the shares to as many banks, institutional investors, or individuals as possible. It's the bank's responsibility to put together the buyers. It selects a group of banks and investors to spread around the IPO's funding. The group also diversifies the risk. Banks charge a fee of between 3 percent to 7 percent of the IPO's total sales price. The process of an investment bank handling an IPO is called underwriting. Once selected, the company and its investment bank write the underwriting agreement. It details the amount of money to be raised, the type of securities to be issued, and all fees. Underwriters ensure that the company successfully issues the IPO and that the shares get sold at a certain price. The second step is the due diligence and regulatory filings. It occurs three months before the IPO. This is prepared by the IPO team. It consists of the lead investment banker, lawyers, accountants, investor relations specialists, public relations professionals, and SEC experts. The team assembles the financial information required. That includes identifying, then selling or writing off, unprofitable assets. The team must find areas where the company can improve cash flow. Some companies also look for new management and a new board of directors to run the newly public company. The investment bank files the S-1 registration statement with the SEC. This statement has detailed information about the offering and company info. According to CNBC, the statement includes financial statements, management background, and any legal problems. It also specifies where the money is to be used, and who owns any stock before the company goes public. It discusses the firm's business model, its competition, and its risks. It also describes how the company is governed and executive compensation. The SEC will investigate the company. It makes sure all the information submitted is correct and that all relevant financial data has been disclosed. The third step is pricing. It depends on the value of the company. It also is affected by the success of the road shows and the condition of the market and economy. After the SEC approves the offering, it will work with the company to set a date for the IPO. The underwriter must put together a prospectus that includes all financial information on the company. It circulates it to prospective buyers during the roadshow. The prospectus includes a three-year history of financial statements. Investors submit bids indicating how many shares they would like to buy. After that, the company writes transition contracts for vendors. It must also complete financial statements for submission to auditors. Three months before the IPO, the board meets and reviews the audit. The company joins the stock exchange that lists its IPO. In the final month, the company files its prospectus with the SEC. It also issues a press release announcing the availability of shares to the public. The day before the IPO, bidding investors find out how many shares they were able to buy. 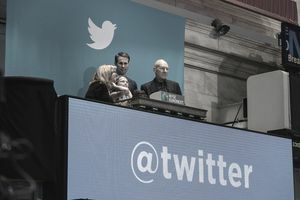 On the day of the IPO, the CEO and senior managers assemble at either the New York Stock Exchange or NASDAQ for the first day of trading. They often ring the bell to open the exchange. The fourth step is stabilization. It occurs immediately after the IPO. The underwriter creates a market for the stock after it's issued. It makes sure there are enough buyers to keep the stock price at a reasonable level. It only lasts for 25 days during the "quiet period." The fifth step is the transition to market competition. It starts 25 days after the IPO, once the quiet period ends. The underwriters provide estimates about the company's earnings. That assists investors as they transition to relying on public information about the company. Six months after the IPO, inside investors are free to sell their shares. Is Now a Good Time to Invest in America's Small Companies? What Makes Derivatives So Dangerous?